Whitley Johnson's dream summer with her divorcé dad has turned into a nightmare. She's just met his new fiancée and her kids. The fiancée's son? Whitley's one-night stand from graduation night. Just freakin' great. Worse, she totally doesn't fit in with her dad's perfect new country-club family. So Whitley acts out. She parties. Hard. So hard she doesn't even notice the good things right under her nose: a sweet little future stepsister who is just about the only person she's ever liked, a best friend (even though Whitley swears she doesn't "do" friends), and a smoking-hot guy who isn't her stepbrother...at least, not yet. It will take all three of them to help Whitley get through her anger and begin to put the pieces of her family together. Filled with authenticity and raw emotion, Whitley is Kody Keplinger's most compelling character to date: a cynical Holden Caulfield-esque girl you will wholly care about. Kody Keplinger was born and raised in a small Kentucky town. She wrote her first novel, The DUFF (Designated Ugly Fat Friend), during her senior year of high school. The DUFF was a New York Times bestseller, a YALSA Top Ten Quick Pick for Reluctant Readers, and a Romantic Times Top Pick. 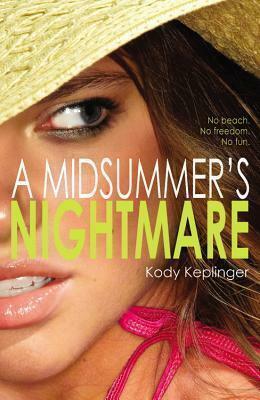 Since then, Kody has written two more young adult novels, Shut Out and A Midsummer's Nightmare, and a middle grade novel, The Swift Boys & Me. She is the cofounder of Disability in Kidlit, a website devoted to the representation of disability in children's literature. Currently, Kody lives in New York City, where she teaches writing workshops and continues to write books for kids and teens.You can find out more about Kody and her books on her website: www.kodykeplinger.com.